(originally reported in ​http://www.gossamer-threads.com/lists/mythtv/users/443270#443270 ). As a result, users may find it difficult to set the MultiChannelPCM, AC3PassThru and DTSPassThru settings. This is done in trunk and for the future 0.25. 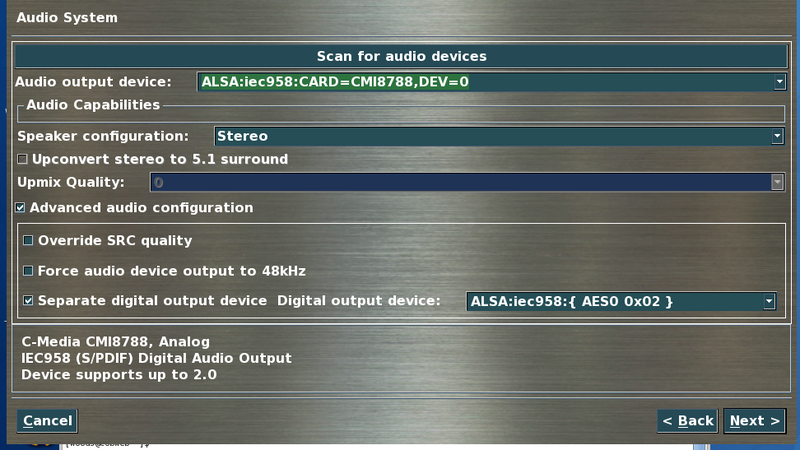 The Audio settings now have its own page ; and the advanced audio settings on a secondary page.